Cystic Fibrosis is a chronic illness that accepts a lot of the body but especially the lungs and digestive system. CF is a terminal disease that has lots of daily treatments that can take many hours each day. Having CF makes you a fighter. There is lots of fighting involved each day. Honestly, I would say that CF should stand for Constantly Fighting. And Somer is most definitely always fighting. Not only fighting for a cure but to stay alive. Somer Love is 38 1/2 years old and has been fighting since before she was a year old. This woman is so encouraging and is always finding ways to smile and spread love. I hope as you read her story, it will not only encourage you, but inspire you. A: I have been on o2 now for about 15 years and for the past 4 years I have been on it continuously. Q: What is your story? And what led up to you being on oxygen? A: I was diagnosed with CF at 11 months old, therefore I was unable to make my own decisions. However, I am fortunate enough to have fabulous parents who chose to help fight my disease. I believe when you are faced with a challenge you have two choices. You can either, rise-up and overcome your challenge, or you can do nothing and allow your challenge to conquer you. So when I was old enough I adopted my parents philosophy and I joined the fight. I fight so hard day in and day out, not just for myself but for everyone around me. My lung function currently hovers around 27%. I literally think about every breath I take. My day consists of hours of breathing treatments, airway clearance, exercise, and handfuls of pills, and that is just the regular maintenance for when I am healthy. In 2003 my health started to drastically decline even tho I was hyper compliant and doing everything to stay as healthy as possible. Still CF decided to take over I was in and out of the hospital for years, one year I believe I had 7 admissions total. I had to make some tough choices, finally after listening to my doc for many years I agreed to stop working. This was hard for me my career was my life but after I had to stop working I was able to put my health first and really take care of myself and live and enjoy life and not just survive through each day. I was able to rest when I needed it, and really take care of myself. With chronic illness every decline in your health becomes your new normal and I remember thinking I could never survive being on o2 full time. Yet here I am 4 years later, eventually you learn to adjust and accept your new normal. I’m not sure I’ll ever get used to being on full time oxygen it really is such a pain. In fact it blows my mind that in 2017 I am still carrying around a steel tank when we can have drones flying around practically delivering us pizza. Ha ha. I hope one day we will have a pill that will increase those o2 sats. Q: You are such a light and inspiration to others. How do you stay positive even on the hardest days? A: Thank you so much. I believe staying positive and making the best out of every situation has definitely helped me get to where I am today. I believe support system is key when fighting any battle no matter the size. I am so grateful for my support system that continues to help me get through each and every day. Humor is also a big coping mechanism for me, after all laughter is the best medicine. Life with CF or any chronic illness is never easy, CF is inconvenient, CF is exhausting, and CF can be frustrating. However, I believe CF has made me stronger, it makes me fight harder, love more, and truly appreciate life one breath at a time. CF is a blessing in an ugly disguise, it’s my reality and its made me who I am today, for that I really am grateful. Q: What have you learned about yourself while being on oxygen? A: I have learned to be more patient and accepting of the things I can no longer do. I could improve on this even more, I find that I get frustrated with myself often. Being on oxygen is really frustrating and getting my leash caught in places or having to worry about how much o2 left is in a tank or of my tanks are full etc isn’t easy. I am trying to be better at asking for help and I think being on o2 pushes me to have to be better at that. A: I use to be insecure about being on oxygen mostly because EVERYONE stares!!! Which is so annoying. Also it’s just one more reminder that my disease is progressing which can be hard to digest at first. I really had a hard time with it at first but now I’m so use to it. I just smile and wave when I catch people staring, or I try to think of it as a great way to spread awareness. I do have some advice for people tho…. Don’t stare, or avoid eye contact. I would much rather you ask me why I’m wearing oxygen than stare at me or awkwardly ignore my face. Q: You have something you call “Love To Breathe Tokens”. What led to the creation of them? That is exactly my hopes and dreams for Love To Breathe® which was established in 2001. I created Love To Breathe® so I could give hope and positive energy to the Cystic Fibrosis community, especially to the families with newly diagnosed children. I believe it is important to educate and raise awareness about CF and spread Love whenever and wherever I can. 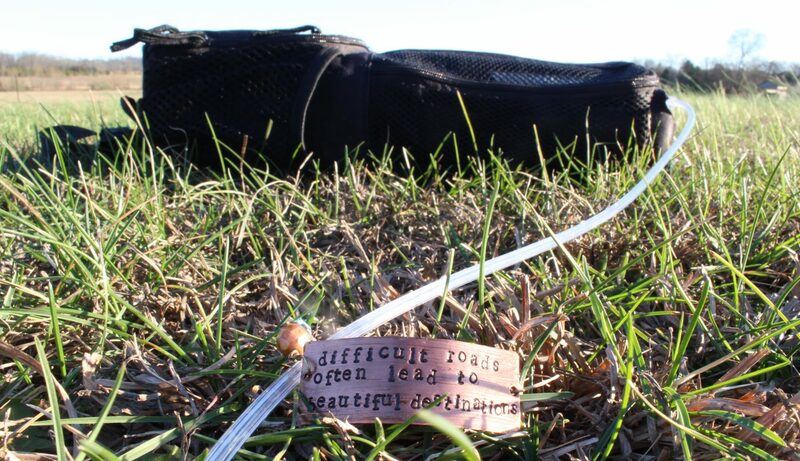 Right now there are about 8,500 Love To Breathe Tokens circulating around the world. I’d love to see that number grow. They are in over 68 countries and all the states now, its been such a rewarding project. Knowing that each token has had an impact on someone means the world to me. I love checking the hashtag #LoveToBreatheTokens and seeing if any fun pics pop up. I created them to spread love in a world that so desperately needs it and at the same time if they go to my website LoveToBreathe.com then they can learn about Cystic Fibrosis. Q: What is something you aspire to do one day? A: Well besides change the world one token at a time. I would love to finish a book that I have started, and I would really love to officiate my nieces wedding. My niece is 11 so that day is a LONG ways off. Ha! For now tho I’m just focusing on taking each day as it comes, living in the moment and giving back to a world that has given me so much. Making a difference in others peoples lives makes me feel good and in turn makes a difference in my life. I am truly blessed and so grateful for every breath I breathe. Q: What advice would you give to another Cystic Fibrosis fighter? A: Well everyone is so different, and my journey with CF is not anyone else’s journey we are all so unique in our own individual way. CF is very fascinating in that way… there are no 2 cases a like. The best advice I can think of is just do you. Don’t compare your journey to anyone else’s. We are all so unique and amazing in our own way. Life would be so boring and our community would not be as fabulous as it is if we were all the same. Be yourself and just take life one day at a time… better yet just take it one breath at a time.